CyclingPub.com - Tour de France - Dan Martin: I hope my wife didn't go into labour! Tour de France - Dan Martin: I hope my wife didn't go into labour! 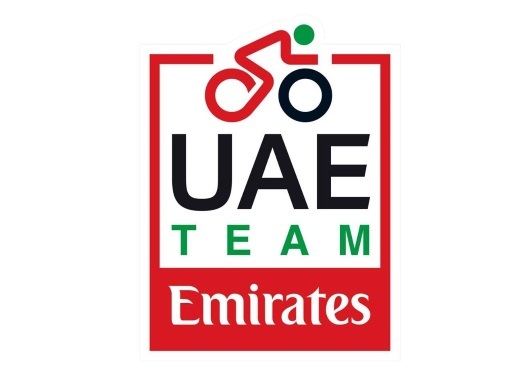 Dan Martin of UAE Team Emirates took a big victory at the Mur de Bretagne in the sixth stage of the 2018 Tour de France. The Irish rider attacked on the last climb and successfully defended his lead to take the win. "My first thought is that I really hope my wife hasn't gone into labour," he joked. Jess Martin isn't actually calculated to go into labour until October 7th. "It's a great feeling to actually get a win again. So many second places at the Tour since the last one. I was a bit nervous because of the headwind. I didn't think it was gonna happen. The race went so hard on the first part of the climb. I saw everybody was on the limit and there were no teammates left so I thought why not have a try. And I did. "The legs were there all the time. Maybe adrenaline. I felt really good yesterday. Didn't quite get an opening in the final to have a go. That was a good sign for today. I was really relaxed all day. Not confident but just looking forward to having a crack, to racing hard on the last climb. Luckily it worked out." For Martin, there is no doubt that he got this win without help from any of his rivals. "The last time I got second here. I had already lost a bit of time before the stage I always thought maybe that's why they let me go. But today there was no question. I just attacked as hard as I could. It's positive that I'm clawing a few seconds back but the victory is more important. "It makes this Tour de France a success for us already and anything else is a bonus now," he concluded.